Quadrasteer AWD. Only 51,511 Original Miles!! If you demand total steering compliance from a tow vehicle, along with stability and maneuverability from what's being towed, our GMC Sierra Denali with Quadrasteer is the one for you. Developed jointly by GM and Delphi Automotive Systems, Quadrasteer is a standard feature on the 2002 Sierra Denali Pick-up. California owned with only one previous owner. Excellent maintenance history. Powered by a 325HP, 6.0L, V8 Vortec engine paired to an automatic transmission. Towing package with tow capacity up to 10,000lbs. Original Pewter Metallic paint with deep tinted privacy glass. Clean, tear-less dark and light stone leather upholstery. Features Onstar emergency communications with Free Trial available. Homelink programmable garage door opener. Factory CD stereo system with steering wheel controls and rear audio controls. Standard features are; key-less entry, dual power/heated front seats, cold air conditioning, power windows, locks and mirrors all working properly. One of the most luxurious pickups on the market! Premium wheels wrapped in Top Quality General Grabber AT Truck Tires. 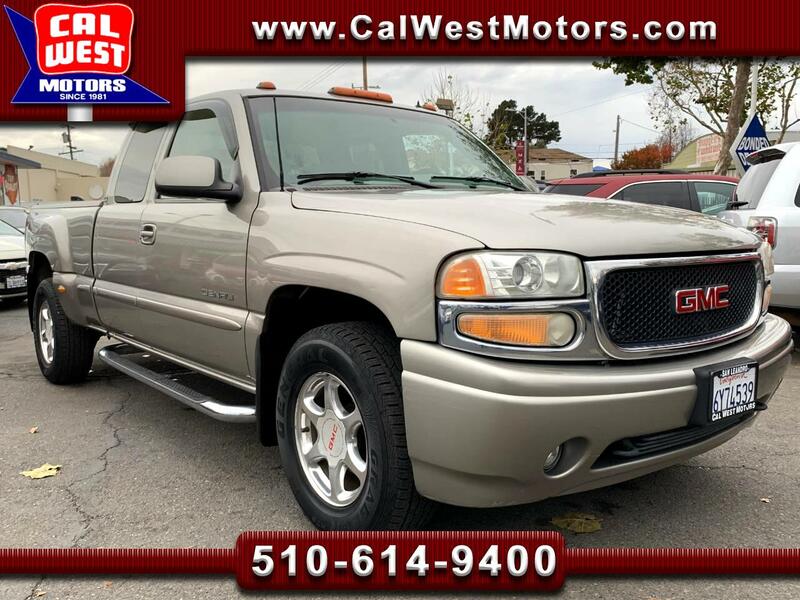 With this Sierra's Low Mileage, Premium Features and Amazing Condition makes for Exceptional Value under $14,000!